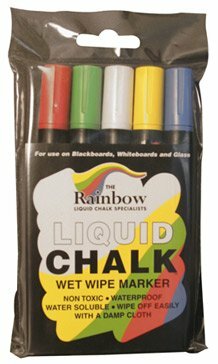 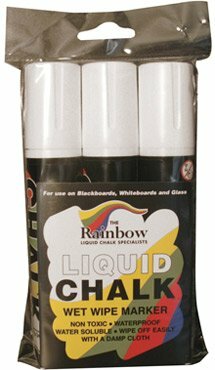 The UK manufactured Rainbow liquid chalk pens are waterproof after 1 hour yet are erasable with a damp cloth. 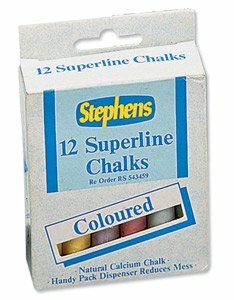 Available in an pack of 5 assorted colours with 5mm nibs or in white in packs of 3 with 15mm nibs. 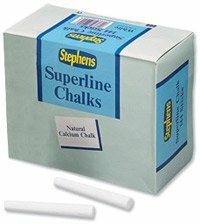 We also supply traditional natural chalks in 6 assorted colours or bulk buy packs of 144 in white only.